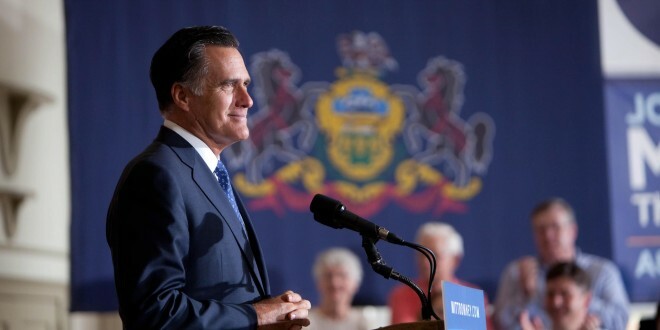 Romney joins a long list of distinguished speakers at the private university over its 80-year history, including former President Gerald Ford; Vice President Lyndon Johnson; Secretaries of State Dean Rusk and Gen. Colin Powell; Ross Perot, founder of Electronic Data Systems Corp. and later a presidential candidate; U.N. Ambassador Nancy Soderberg; Chemistry Nobel Prize Winner Linus Pauling; Anthropologist Margaret Mead; Federal Reserve Chairmen Paul Volcker and Ben Bernanke; and Czech Republic Prime Minister Vaclav Klaus. The announcement of the visit follows on the heels of the recent campus appearance of PepsiCo Chairman and CEO Indra K. Nooyi, one of the world’s most widely respected and influential business leaders, who accepted the University’s first Presidential Global Citizen Award. Romney, 67, has a deep and broad business background, including founding Bain Capital in 1984, an investment company that helped launch or reshape hundreds of companies such as Staples and Domino’s Pizza. In 2002, he oversaw the successful Salt Lake Winter Olympics, after taking over as president and CEO of the Salt Lake Organizing Committee and helping turn around the event, which had suffered from budget and operating challenges. As Massachusetts governor, Romney passed landmark health care legislation for his state and helped eliminate a $1.2 million budget deficit. He ran for the Republican presidential nomination in the 2008 election and was the party’s nominee in 2012. The holder of MBA and Juris Doctor degrees from Harvard University, Romney was named by Time magazine in 2012 as one of the 100 most influential people in the world. Romney and his wife, Ann, have five adult sons, Craig, Ben, Josh, Matt and Tagg. Spring Commencement is scheduled for Saturday, April 25, on Dolphin Plaza at Jacksonville University, 2800 University Blvd. N. in Jacksonville.